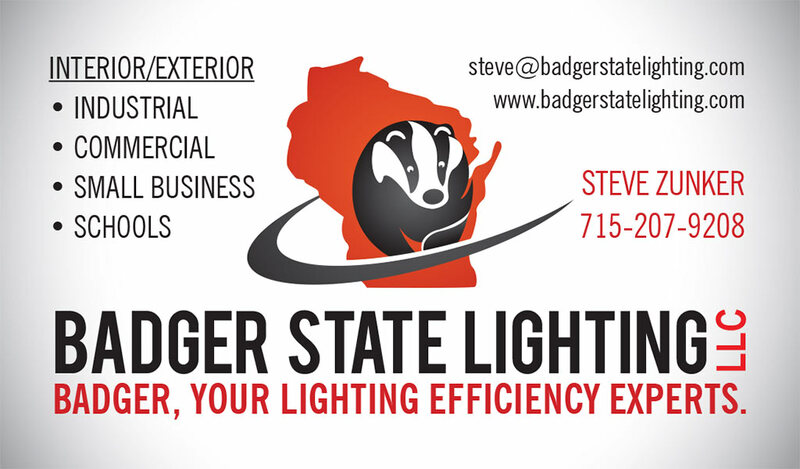 Thank you for visiting the Badger State Lighting LLC website. We offer quality and affordable LED lighting, light fixture installation and energy-efficient upgrades for businesses across Central Wisconsin (Marshfield and surrounding areas). We can sell directly to the customer or professionally install any type of lighting solution. This includes interior and exterior installation for industrial, commercial, small businesses and schools. Please visit the Gallery for additional before-and-after shots. To receive a project estimate or for further information on our offerings and expertise, please use the contact from or call Steve Zunker at (715) 207-9208.